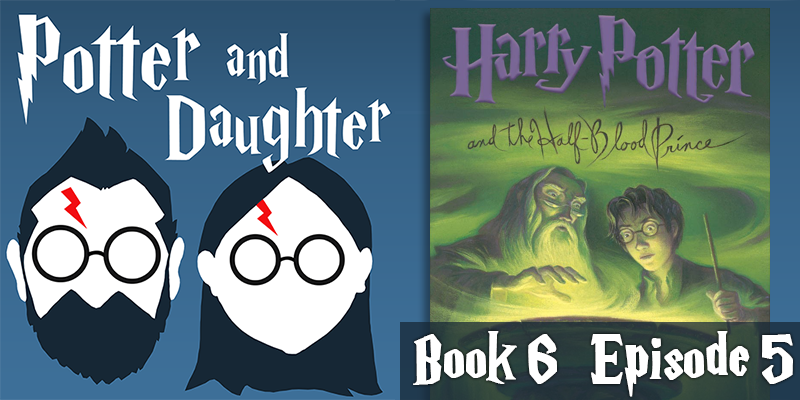 In episode twenty-seven of Potter And Daughter Joel and Lily finish covering Harry Potter And The Half Blood Prince with chapters 26-30. Harry and Dumbledore go spelunking for Horcruxes, which isn’t nearly as fun as it sounds, then, upon returning to Hogwarts, stumble onto an assassination plot in the works. Harry chases the attackers from the castle, and in the process learns the unlikely identity of the Half Blood Prince. Harry, his friends and his teachers are left to grieve, and a loyal friend decides to leave Hogwarts forever. After a funeral, Harry tries to leave Hogwarts and his friends behind as he sets out on his final mission, but going off alone proves more difficult than he expects.